Schedules, hurries, deadlines, stress, routine, work, work, work…STOP! You need a break. You deserve to relax and get away from your everyday routine. Even more, you really need proper scuba vacations in the Caribbean. Don’t you? Reading this article you will discover some of the best places in the world to enjoy scuba vacations. We tell you about all their features so, you will only have to decide which one you would like to visit the first. As you can see, all of them are placed in the Caribbean, and maybe you wonder the reason. On one hand, the Caribbean is one of the most charming regions on Earth. It is a region with which one quickly falls in love, with fantastic people, and magnificent weather. On the other hand, it is an astonishing area for Scuba diving. It does not matter if you are a beginner or an expert diver. A proper scuba vacations in the Caribbean Sea offer both memories and challenges for divers of all levels. 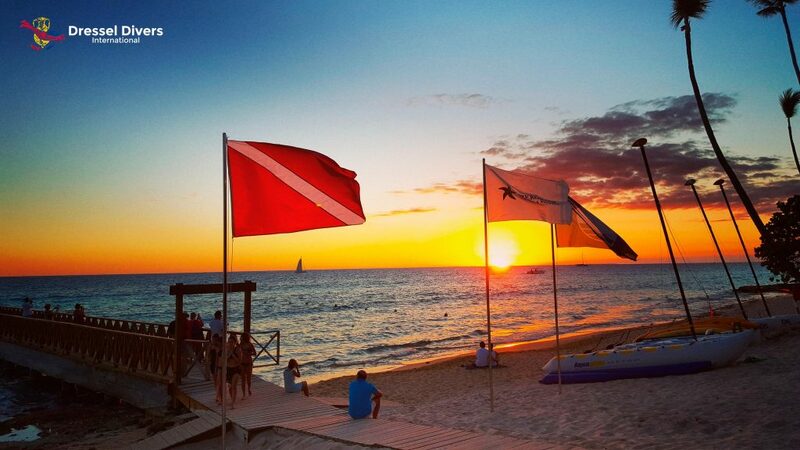 The 2 Best Destinations For Scuba Vacations In The Dominican Republic. The Caribbean rhythm is not only about merengue and bachata music. It is about taking time to enjoy doing what you like the most. If you want to scuba dive, then the Dominican Republic is a phenomenal place for your scuba vacations. With more than thirty kilometers of ideal scuba diving reefs, the Dominican Republic offers multiple opportunities to enjoy your favorite sport during your vacations. Punta Cana offers pristine waters, nice reefs thriving with pulsating life and so much adventures as you hope to live. On the other hand, from Bayahibe you will be able to visit Saona Island. You will also be able to take a break from the ocean and go scuba diving in a fresh water cavern in the National Park of the East. We cannot forget the marvelous Dominican shipwrecks that you can explore here, which are always full of life. Dressel Divers offer you the possibility to mix the pleasure of shipwreck scuba diving with an amazing night dive on the reefs of la Romana. But this is just an example of how wonderful scuba vacations in the Caribbean can be. 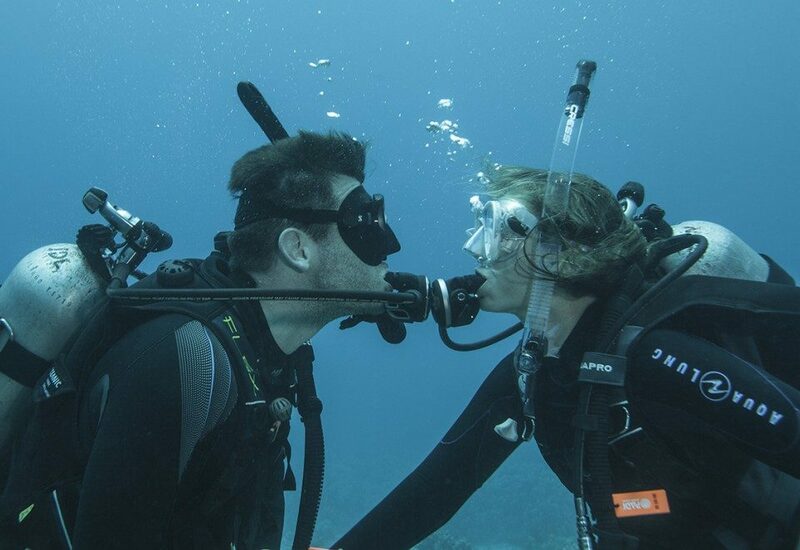 Click on the link for more information about scuba diving in The Dominican Republic. 4 Amazing Destinations For Scuba Vacations In The Riviera Maya (Mexico). Along the Caribbean coastline of the state of Quintana Roo is located the Riviera Maya. Nearby is the second greatest coral reef of the world. As you can understand, it offers you thousands of reasons to venture in its depths and enjoy incredible visual shows. Playa Paraiso’s and Playa del Carmen’s coral reefs are absolutely recommendable because of their abundance of marine life. “Turtles”, “Gardens”, “Barracudas” are some of their names, and they are a prelude of the animals you will find there. 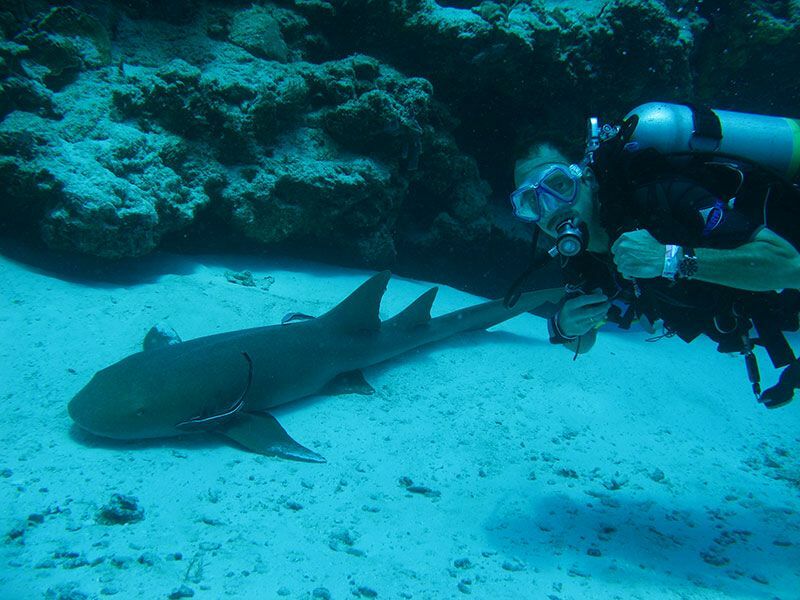 Your scuba vacations will be absolutely unforgettable if you visit the zone during the bull shark season or whale shark season. Besides that, near Puerto Aventuras you will be able to enjoy the adventure and mystery of scuba diving among stalactites, stalagmites and huge columns in a Cenote. And finally, Cozumel. 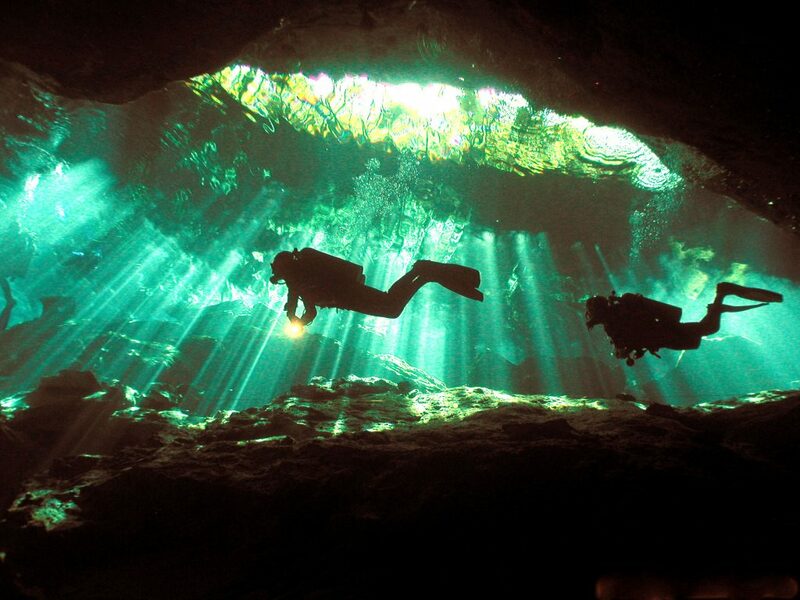 Probably, there is not a person in the world, who claims to be a scuba diving lover, and who doesn’t dream of Cozumel. The combination of beauty, laid back environments, warm, crystal clear waters and phenomenal marine life makes this place a diver’s heaven. With over 85% of these dive sites protected within the Cozumel Reefs National Marine Park, Cozumel offers a whole amazing underwater world to discover. Definitely, this is a place you should consider if you are planning a scuba vacations in the Caribbean among September or October. Scuba diving in Jamaica is a great attraction for the people who visit the island. Maybe, it is because of its beautiful reefs to dive close to shore, as well as various intermediate and deeper walls. In addition, this island has another appeal: It keeps its exclusive ambience without the usual buildup of visitors which flock to scuba vacation places of such a high quality. This is tempting, isn’t it? 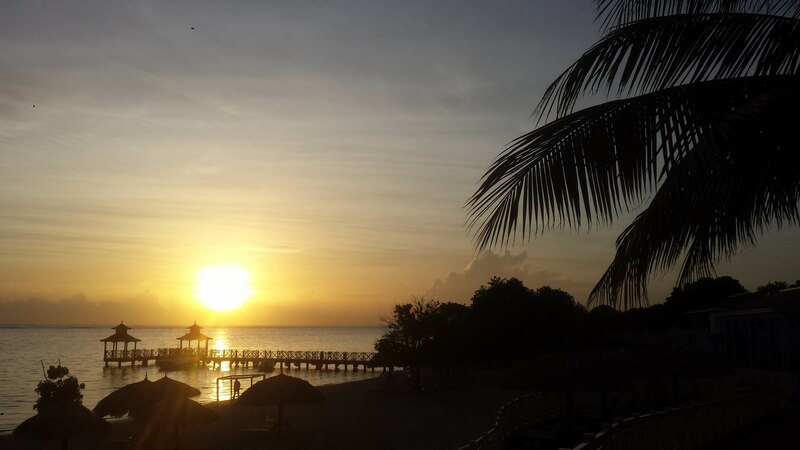 If you are looking for top notch scuba vacations in Jamaica, Montego Bay is your best option. 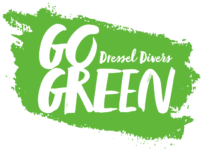 It is the reason why Dressel Divers’ scuba diving center is located there. 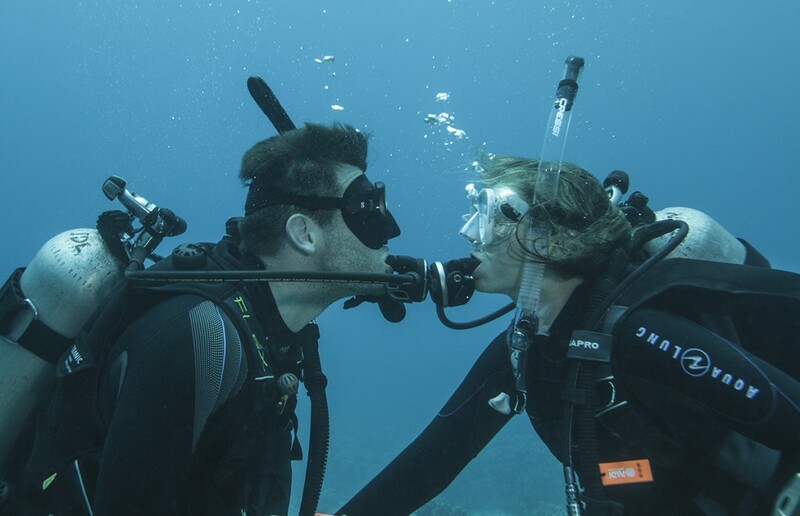 Trusting us with your dives you will have a blast in unspoiled and secluded locations, full of life. These are the best options we consider for your scuba vacations in the Caribbean. Let us know your thoughts, which is your favorite one? Have you ever been to any of these magic places?